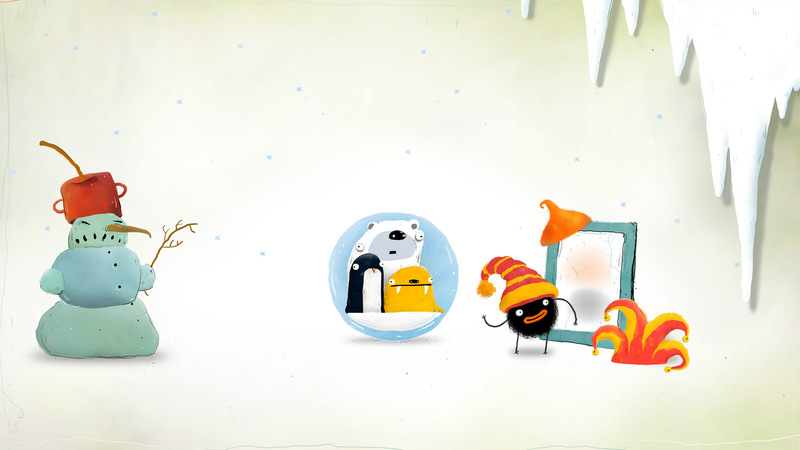 Last week we recommended the recent point and click comedy adventure, CHUCHEL. It's a delightful romp that refines point and click mechanics beautifully, but it's also a game that shows off the hearts of its design team. We wondered whose hearts we saw, and what the process was behind developing such a fresh game. Below is our full interview with the team at Amanita Designs. You just launched CHUCHEL, what has that been like? CHUCHEL is a game with a very particular sense of humor. What drew you to make a comedy game? Would you describe CHUCHEL as a comedy game? Yeah, we like to describe CHUCHEL as a comedy game. The main reason for doing this is that we (or Jaromir Plachy, the creative mastermind behind CHUCHEL) felt like there's just too little games focused simply on humor. Jaromir is a very entertaining person, always ready to make you laugh with a ridiculous joke or his actions… just like Chuchel. So it’s natural to see him come up with this kind of game. Fun fact: the personality of Chuchel was inspired by Jaromir himself and his kind dog Anca. All of the Amanita games have really distinct art styles, CHUCHEL looks way different than your previous outings. How did you develop this art style? CHUCHEL is a creation of Jaromir's mind, just like Botanicula, and it perfectly represents his unique style. He's been doing this kind of stuff for years in his animated movies and comic books. When he started working on CHUCHEL, it looked a bit like a Botanicula sequel with its colourful and dense backgrounds, but later we decided to go with a more minimalistic design. There are 2 main reasons for that - 1) we wanted Chuchel, his actions and the humor to be the star of this game, not the backgrounds, 2) since we've built up a massive audience on mobile, we wanted this game to be perfectly playable on all screen sizes. The plan is to bring CHUCHEL to mobile devices before this summer. Speaking of your past games, how have you grown as developers? You specialize in adventure games, how has your design sensibilities changed over your careers? Our approach to game design is constantly changing and evolving. I guess you can say that right now we’re more interested in playfulness and interaction with environment rather than tough challenges. But of course different rules apply for each game, so you will probably see some more difficult Amanita games in the future. What hasn’t changed a single bit is our philosophy - we keep making the games primarily for ourselves and we can only hope that there are always enough people with a similar taste, willing to jump into our worlds.